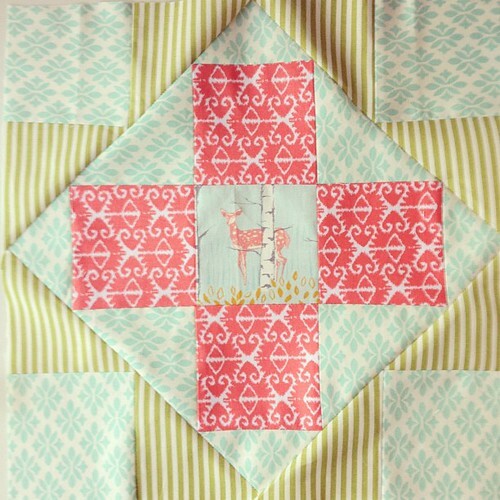 I am loving the beginning of this quilt using Amy's Sugar Block of the Month Club! I think the March block is my favorite. If you did not subscribe to this BOM, you can get the March pattern as a freebie on Amy's blog. It is a really fun block! Not sure what filter I used on Instagram, but this is definitely more washed out than the real thing. I love that little deer from Sarah Watt's Timber & Leaf line. Since this quilt is meant for our screened porch and we often see deer back there, it is very fitting. I'm just glad I am still on track three months in! I think it helps that I have a definite plan for this one with fabrics already chosen and an idea of what I want. 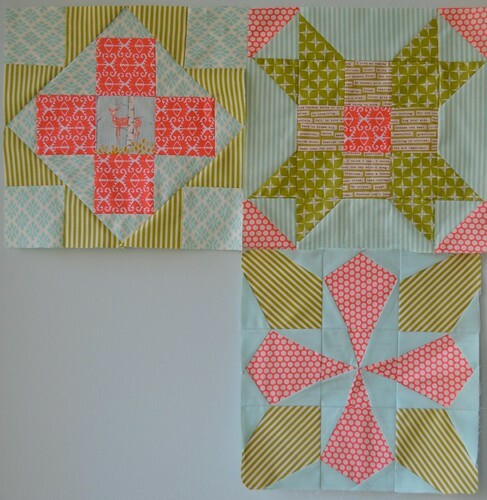 I still haven't decided about the Lucky Stars BOM, but I am hoping to make the March block soon. Do you find it easier to follow along with a Block of the Month when you have a plan in mind? I think that you are brilliant....pregnant with a boy, raising boys, and such creative sewing...you are my kind of girl!! I love your fussy cut deer! Lovely fabric choices. I just finished my March block yesterday too. I'm doing the Lucky Stars BOM as well as the Sugar Club. I think you would really like it! And yes, I find it easier when I have a plan. Not being able to see what all of the blocks look like before I choose fabrics has been very hard for me (but so far they have all worked out wonderfully). Great fabrics.The blocks look great. Definitely a plan always helps me, or I am scatered and really dont get anything done.